A very rare species rarely if ever found in commerce. At first, it was thought to be var. aureum, but it turns out this is a extremely rare as rarely seen green color form of that 'L. bakerianum var. delavayi'. Mr. Navratil reported that he purchased this bulb from Chin Yi labeled as var. aureum. 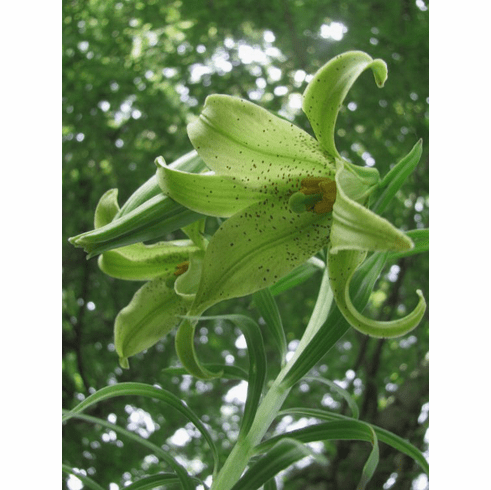 He received much more than he purchased in flowering this rare green form. Copyrighted Oldrich Navratil, Czech Republic, all rights reserved. Used with permission.